What’s more traditionally British than five o’clock tea or hot fish and chips from a street vendor or local shop? 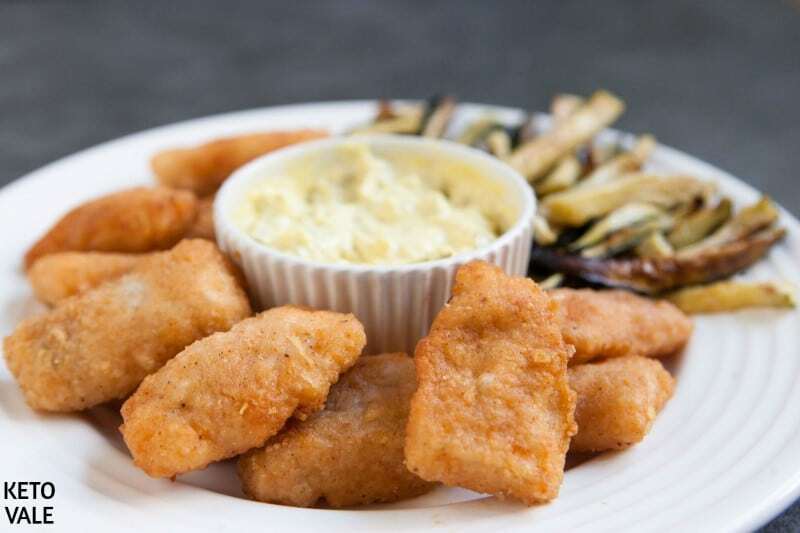 Going back in history to the 17th century, it was a deconstructed recipe for traditional Jewish way of making fish. 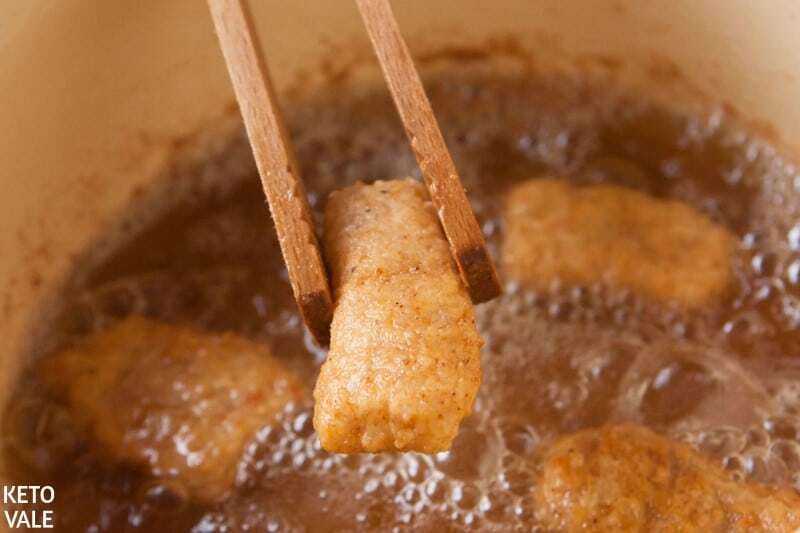 The crunchy coat of eggs, flour and cheese makes a certain vacuum with fish inside allowing it to get cooked like in a steamer, therefore when you make a bite you still tasting that perfect flavor of soft fish meat. In the beginning, Fish and Chips were served wrapped in newspaper, now many restaurants that care for its visuality trying to go back to its original look by using edible paper with non toxic prints on it – recreating the aesthetics. Try using paper cones stated in tall glass for making an extravagant appearance for common dish. 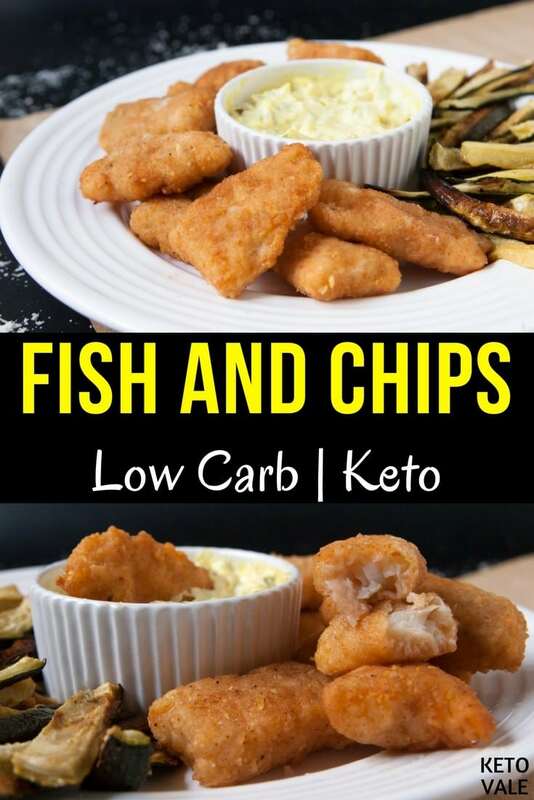 For the fish, you can use any type of white fish such as cod. Make sure it’s boneless. The most important thing to keep it low carb is the breading. 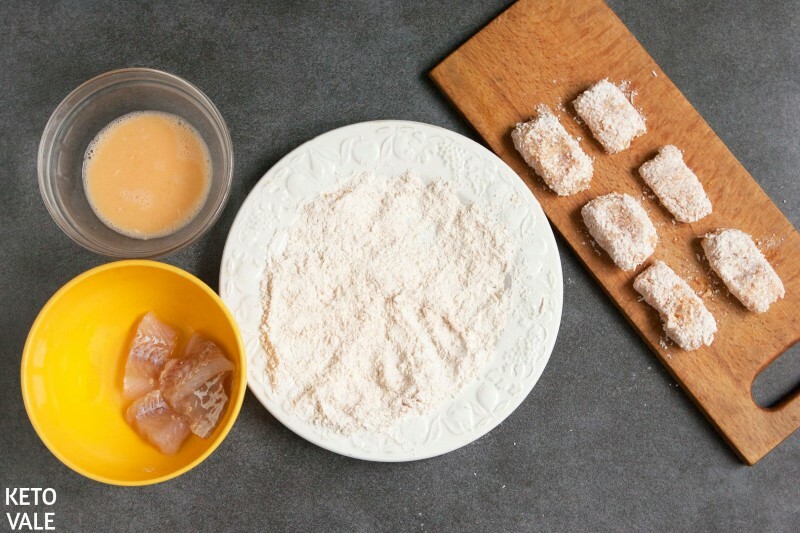 The low carb fried fish batter we make consists of Parmesan cheese, almond flour and egg as well as other herbs and spices. You can use coconut flour too. For the chips, we keep it simple by baking zucchini slices in the oven. You can also try this zucchini fries recipe too! 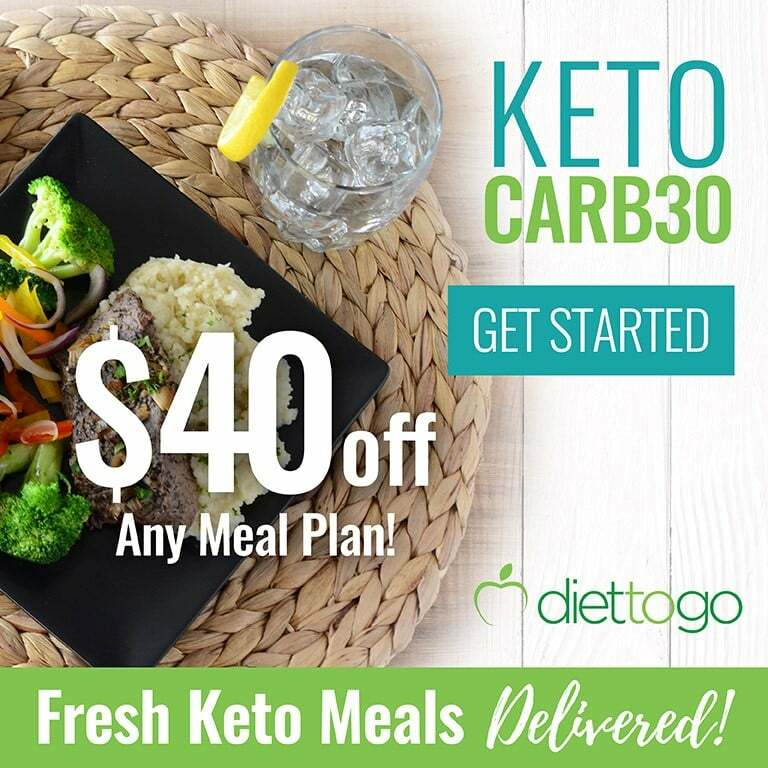 Other low carb veggies substitutes for potatoes can be made as chips on a low carb diet are parsley root, kohlrabi, turnip, swede, eggplant, radish, and jicama. 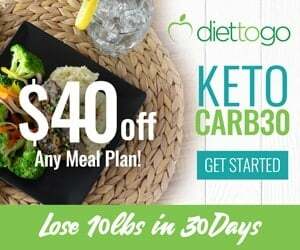 Depending on how strict you are on keto, you might need to check the portion size and carb content of these veggies. 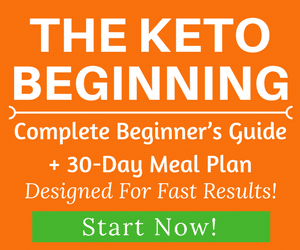 The best keto-friendly option would still be zucchini. To make the sauce, combine all of the sauce ingredients in a bowl. Mix until well-combined and set the sauce aside. Line a baking sheet with parchment paper while preheating your oven to 400°F. Cut the zucchini into thin rods, brush each with the olive oil, and spread them evenly on the baking sheet. Sprinkle a pinch of salt and pepper across them. Bake for approximately half an hour or until the rods are golden. While the zucchini is in the oven, crack the egg in a bowl. Beat thoroughly. On another plate, combine the Parmesan, almond flour, and remaining spices. Slice the fish into 1 inch cubes. Roll them in the flour mixture before dipping in the beaten egg. Sprinkle more flour to cover them again after the egg dip. Place a deep saucepan on high heat, ~340-360°F. Heat the frying oil before frying the fish for three minutes on each side. Remove from the heat when the pieces are golden brown, but make sure they are fully cooked. Tip: Oils with high smoke points that can be used for deep frying include avocado oil, coconut oil, and lard. 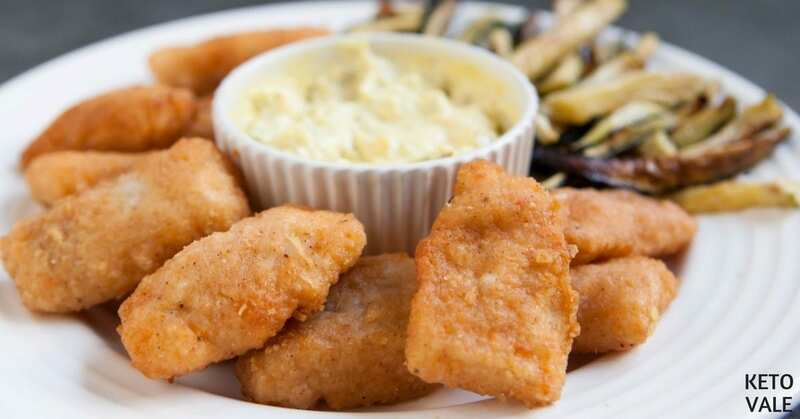 Move them to a serving plate to be served with the zucchini fries and tartar sauce. 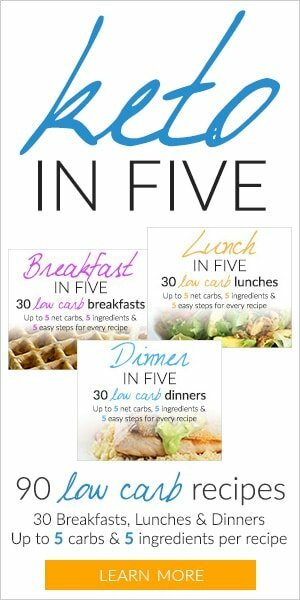 These also pair well with other keto-friendly sauces of your choice. For dipping sauce, you can try homemade mayonnaise or ketchup. For the sauce, simply combine all the sauce ingredients in a bowl. Mix well then set aside. Line some parchment paper on a baking sheet and preheat the oven to 400°F. 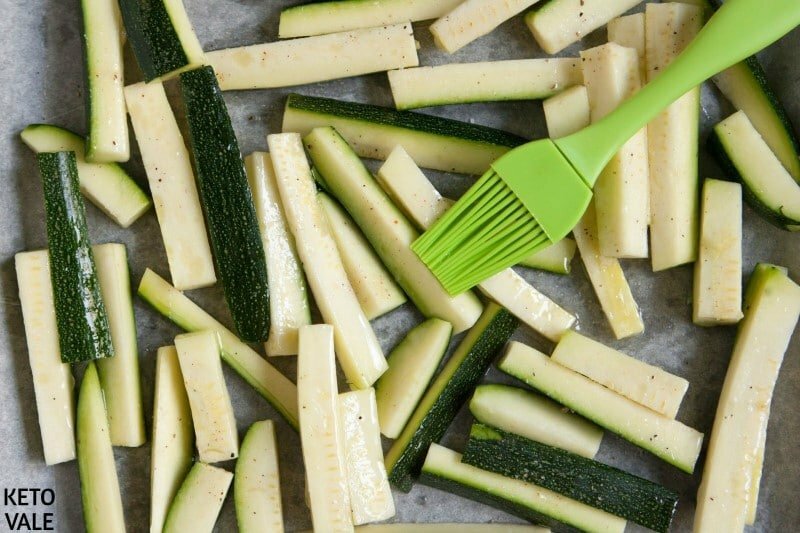 Make thin zucchini rods, brush them with oil, and spread them on the baking sheet. Add a pinch of salt and pepper on top. Bake for about 30 minutes or wait until the zucchini turns golden brown. While baking the zucchini, crack the egg in a bowl and beat thoroughly. 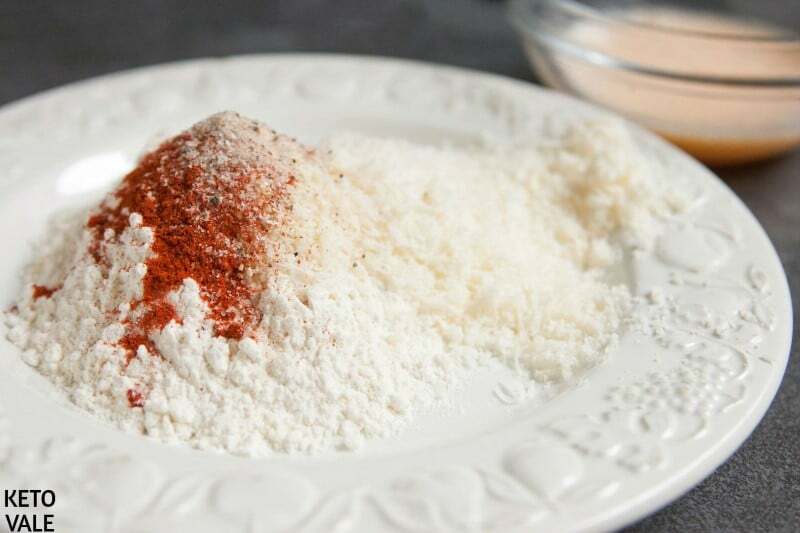 On a separate plate, combine Parmesan cheese, almond flour, and the remaining spices. Slice the fish into 1 inch by 1 inch pieces. Roll them on the flour mixture. Dip in the beaten egg and sprinkle more flour to cover the pieces again completely. Place a deep saucepan on the heat with about 340-360°F. Heat the oil for a while then fry the fish for three minutes on each side. Remove from the heat when it becomes golden brown but make sure that the fish is cooked through. 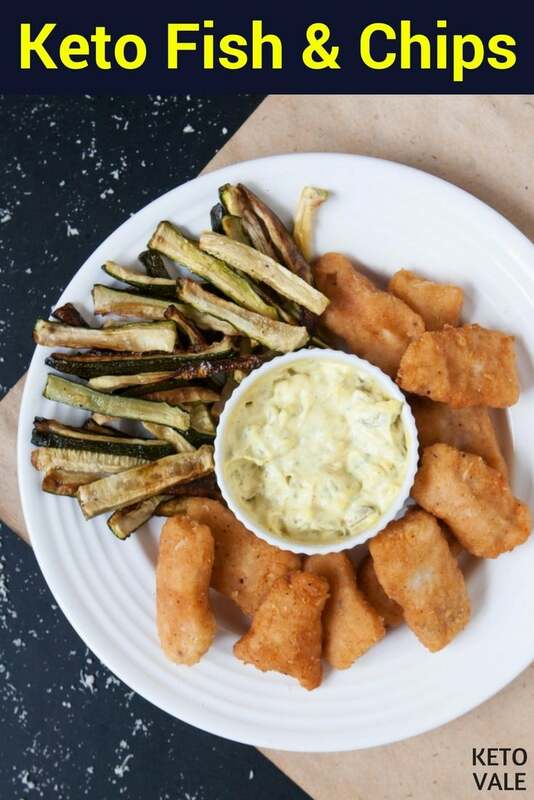 Transfer to a serving plate and serve with the baked zucchini fries and tartar sauce. 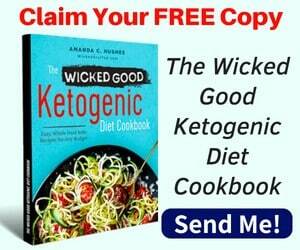 You can also use any other keto-friendly sauce of your choice.